No. 5 from Suite Espanola. Composed by Isaac Albeniz (1860-1909). Edited by Konrad Ragossnig. Arranged by Konrad Ragossnig. Sheet music. Gitarren-Archiv (Guitar Archive). Contemporary, Classical. 6 pages. Schott Music #GA445. Published by Schott Music (HL.49010858). 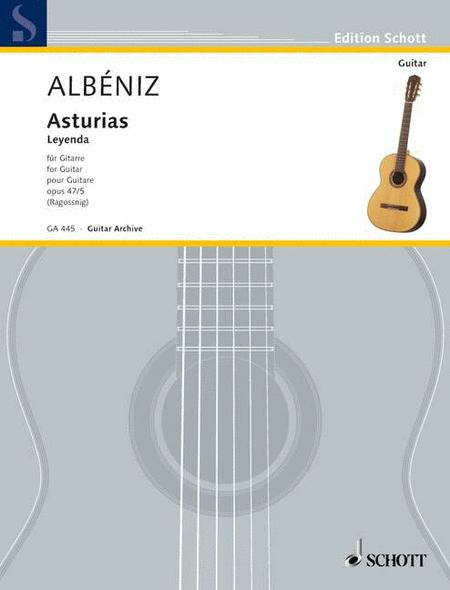 This piece is unutterably beautiful, especially as played by Master Segovia--a must have for every guitar library. I myself am a beginner at classical guitar, and this piece is currently way above my head, but it's something to strive for. 25 of 49 people found this review helpful.